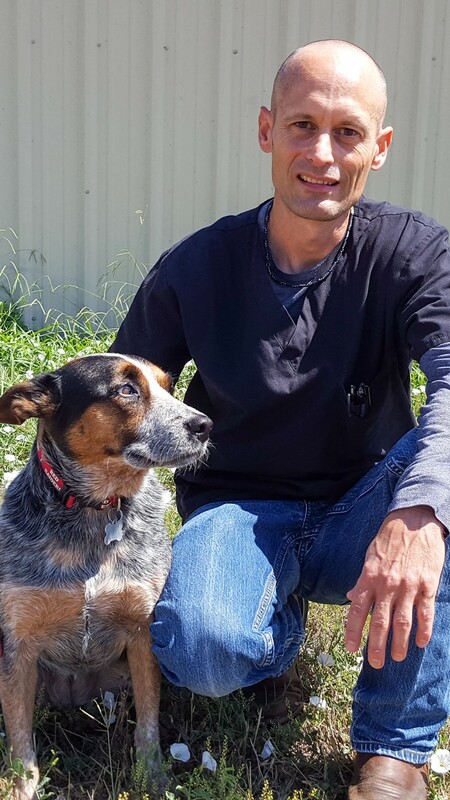 Raised in Llano Texas, James grew up with animals of all sizes. He graduated from Texas Tech University with a Bachelors of Science Degree in Animal Science in 2001 and has been working here for 10 years. When he is not working here he enjoys Football (Go Red Raiders! ), going to the lake, and going on trips with family and friends. He currently lives in Saginaw with his girlfriend Angela, a Blue Heeler named Sadie, and a cat named Ellie. He also has two sons, Kaden (20 years old) and Mason (15 years old). Sarah moved to Ponder 6 years ago and has been working at our hospital for 5 years now. She enjoys teaching clients about big dogs and giving the elementary kids a tour of the hospital. When she is not at work she loves watching the Dallas Cowboys and Ponder Lions football. Sarah has a daughter, Ella who is 9 years old. A Great Dane named Moose, a Jack Russell Terrier named Riley, and a cat named Skidmark. Before becoming a veterinary technician, Mickie was in the Army for 5 years. After getting out of the Army she then started working as an animal control officer for almost 6 years. 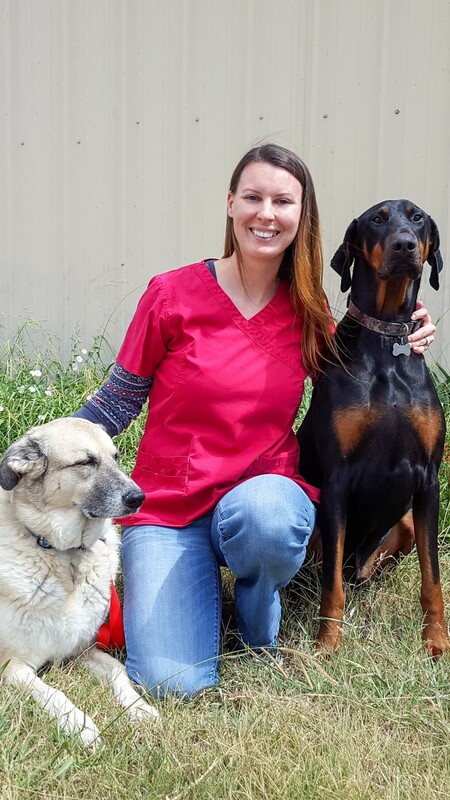 She knew that she loved animals of all kinds and so she became a veterinary technician. Mickie has been working with us now for 3 years out of her 29 years as a technician. When she is not working here she can be found working at the Exotic Animal Sanctuary in Boyd. 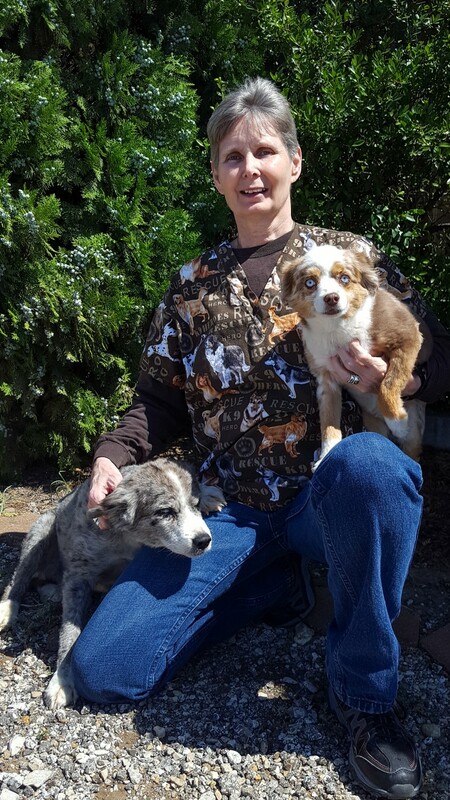 At home she has 2 Australian Shepherds (Booma and Zippy) and 2 cats (Sidewinder and Marble). 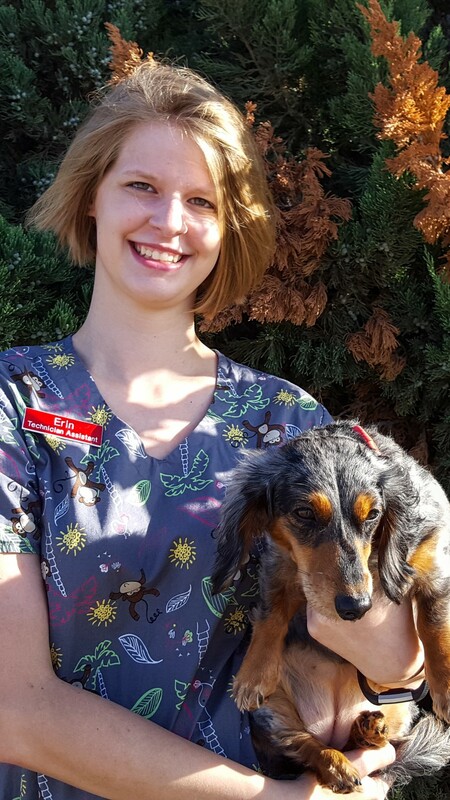 Brittanie has been with the Ponder Vet family for 7 months now but has been working in the veterinary field for over 5 years. She was born in Shreveport, LA and then moved to Utah with her family where she grew up. When she was 16 years old she and her family moved back down to the south and landed in Justin, TX. Brittanie graduated from Northwest High School in 2009 and now lives here in Ponder. At home, Brittanie has a Golden Retriever named Rambo and 5 cats. She loves spending her free time hiking, reading, and hanging out with her dog. Born in Salt Lake City, Utah, Darby moved with her family to Ponder, Texas when she was 13 years old. Darby grew up riding horses in the Uinta Mountains with her family dogs trailing behind. When Darby is not working she enjoys playing volleyball, traveling, and photography. She has a Miniature Australian Shepherd named Lola who loves keeping her active. Born in Portland Oregon, Kim could not get to Texas fast enough. When she was only 7 months old she and her family moved to the Dallas/Fort Worth Metroplex. She graduated from The University of Texas in Arlington with a Bachelors Degree in 2010 and has been working here for almost 4 years. When she is not at work, she enjoys volunteering at animal rescue places, tennis, and going to the lake. At home she lives with her husband, Dustin, stepdaughter, Ella, who is 7 years old, an Anatolian Shepherd named Lexi, and a Doberman Pinscher named Apache. 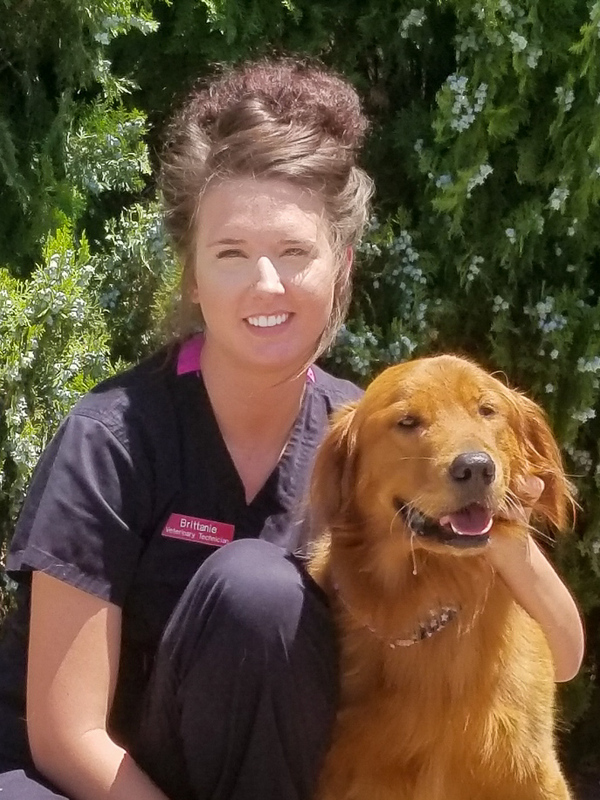 LeAnn has been with the Ponder Vet family for over 3 years. She loves meeting new people and their pets that come into the hospital. Since working here she has adopted a very sweet Dapple Dachshund named Chloe. Most of the time when you come in she will be at the front to greet you and get belly rubs. LeAnn is a native to the town of Krum, just north of Ponder, and still lives there today with her husband, Scott and youngest son, Carson (18 years old). LeAnn also has three other sons, Chase (26), Cameron (24), and Connor (21) who all live on their own. 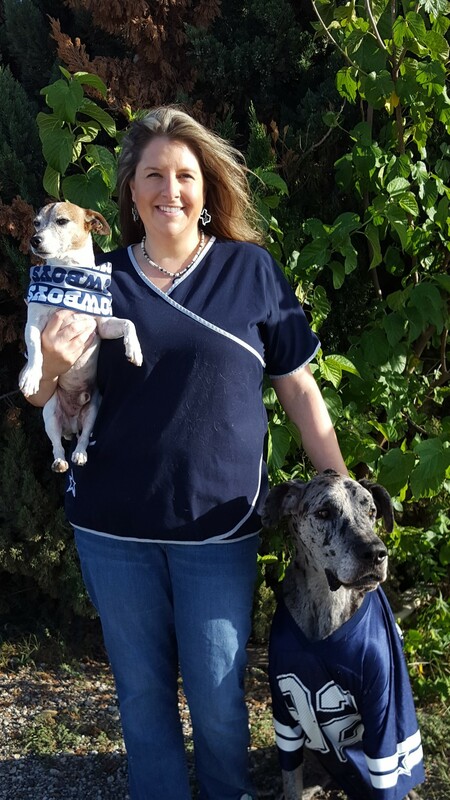 When she is not at work, LeAnn enjoys playing volleyball, DIY crafting, crochet, and camping with her family. Erin was born and raised in Sanger, TX. 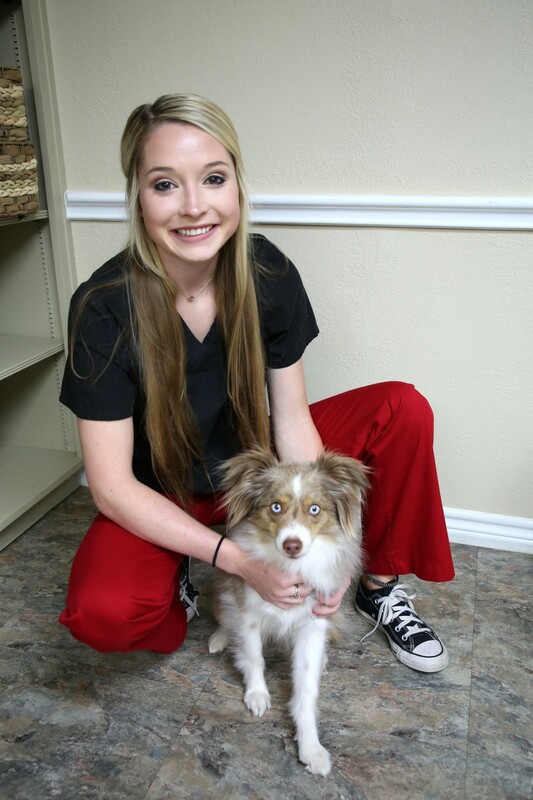 She loves working with animals of all kinds and has been with the Ponder Veterinary family for 6 years now. She is also currently in school getting her Registered Veterinary Technician License.